Real Madrid forward Cristiano Ronaldo scored a brace in his side's match with Schalke last night. AN ANGRY CRISTIANO Ronaldo told reporters that he will not speak to the press again until the end of the season after he helped Real Madrid survive a scare against Schalke and qualify for the last eight of the Champions League on Tuesday night. The Portugal international headed two goals as the defending champions twice came from behind against the German side, but Madrid ultimately lost 4-3 on the night and came within one goal of a humiliating exit in front of their own fans. Ronaldo was visibly annoyed throughout the game and was caught on camera by Canal Plus telling team-mate Karim Benzema “this is embarrassing” during the closing stages. He then began to storm off the pitch at the final whistle, only to be called back by captain Iker Casillas to applaud the fans in the centre circle. Clearly unamused, he waited briefly before heading for the tunnel and appeared momentarily before the media later on. Unhappy at recent reports over his recent dip in form and clearly disgusted at his side’s poor performances of late (which also include a 1-0 defeat at Athletic Club on Saturday), the 30-year-old forward is thought to be considering his future at the Spanish side and now wants to focus fully on helping his team challenge for La Liga and the Champions League in the remainder of the current campaign. 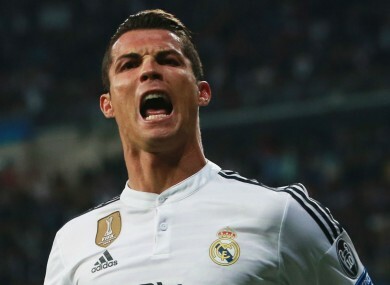 Email “'I won't speak to the press again this season' - Ronaldo angry after Schalke scare”. Feedback on “'I won't speak to the press again this season' - Ronaldo angry after Schalke scare”.